simple like parking Disney even knows how to make that much easier for their guests and make everyone’s life much easier. We live in New Jersey and we travel to Disney a couple times a year. Driving for us works out much better since we are far but not too incredibly far away. It also saves us a lot of money instead of flying since we are a family of four and we feel that money can be used somewhere else or for another Disney trip. This all tends to work for my family best over the last several years. This time we drove to Disney the beginning of April and arrived a day before our cruise which was setting sail on a Friday. 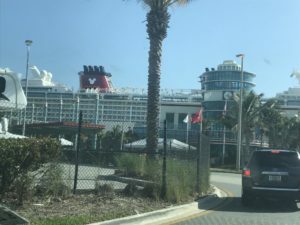 We stayed overnight in a hotel closer to Disney World and drove to Port Canaveral Friday morning. When you book a Disney cruise you pick your check in time at the port so I chose a time of 11:30 AM. I figured this was a good time because it would give us more than enough time with driving and just in case we hit any type of traffic. We left our hotel just outside Disney World around 8:45 in the morning and hit just a very minimal amount of traffic. 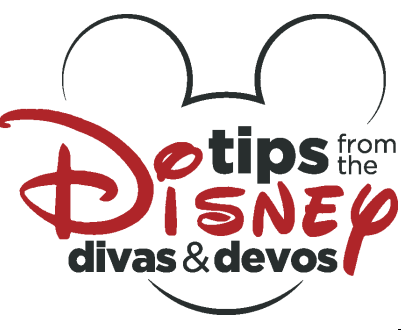 (Pixie Hollow Diva has tips on where to stay before your Disney Cruise here) We arrived at Port Canaveral just before 10 AM. 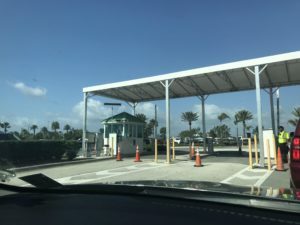 When you pull into the port, Disney has their own designated area which really should not surprise anyone! They have a small parking lot along with a large parking deck. Disney seriously cannot make your life any easier. When you pull in, on your right side is the entrance into the building on your left is the parking deck. You pull in and there are attendants working two lanes. Once you pay, you can choose to park wherever you would like. You can choose to park outside in the parking lot or somewhere in the parking deck. The price for parking is different depending on your cruise length. We were doing a three night cruise so our parking with tax came to $73. I actually thought that price was pretty reasonable. 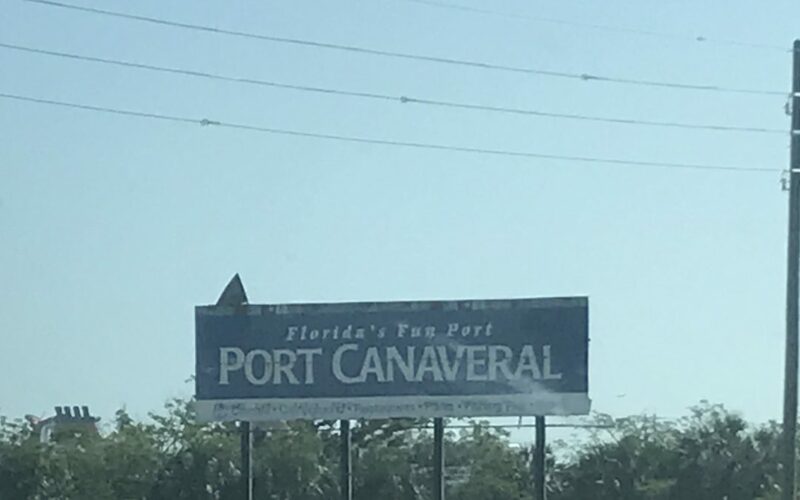 The port address to use when driving is Port Canaveral, Cruise Terminal 8 9155 Charles M. Rowland Dr.
For more parking information you can check out Disney’s Cruise page. We chose to park in the parking deck but we parked on the very bottom level, I found that to be much easier for my family. It was nice because the car was in the shade the entire time and not left out in the sun. I’d like this idea because I was leaving some luggage in my trunk since we were going to stay in Disney World for a week once we got off of our cruise. The good thing with parking ground level in the parking garage you are directly across the street from where you have to wait to enter the building. It’s also nice that everyone has different check in times for the cruise. This cuts back on the amount of people trying to park and find parking spots. 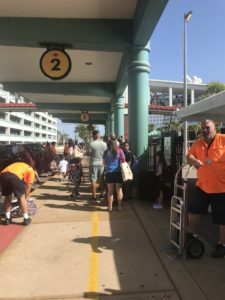 It also cuts down on the amount of people walking and trying to get in line from the parking areas to the cruise port building. Driving and staying parked at the port could not be any easier no matter how you look at it. We have taken a different cruise line in the past before we had children and the parking was not as simple. It was also a lot more congested and it was really not set up as easy and as simple as Disney has done for you. If you want to book your next Disney vacation, Patricia at All For Dreams Travel can help you make all your dreams come true! Do you have to reserve a parking spot or are they always available? 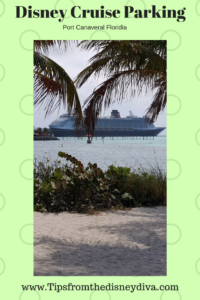 We did a Disney cruise a couple years ago and parked too far away. Hi. You do not need to reserve parking ahead of time. What my family did was we chose an earlier check-in time which was 11:30 AM. But we arrived at the port around 10 AM. We had no problem getting a very close parking spot in the bottom deck of the parking garage which was right next to the entrance to the terminal. I suggest maybe picking an early check-in time as well so that you get an easier parking spot. Good luck!